My husband & I are planning a holiday in Kamala for longer that 30 days which visa form do I need? It would help us to provide you more information if we know what passport you and your husband currently hold. We would suggest that you contact the Thai embassy or consulate nearest you to inquire about the visa form and requirements needed for your trip. I am an Australian from South Australia, traveling to Phuket in July for 10 days stay. I have sent a message earlier on but I realised I did not state my nationality. Please advice if I should need a visa for entry to Thailand. You definitely do not need a visa. You can stay as a tourist for a maximum of 30 days based on your Australian passport. My son is holding a German Passport. He wants to travel to Thailand and stay longer ten 3 month. He will enter Thailand from Australia. How and for which Visa does he have to apply? 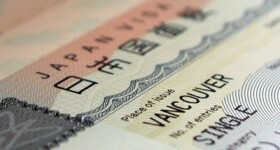 Do you issue Tourist Visa for 6 month? Kindly contact the Thai embassy or consulate near his location to inquire about the best visa option based on the purpose and duration of his travel to Thailand. I am looking for information about Visas to visit Thailand for a week I live in the USA near Los Angeles carrying American passport. My fiancé is carrying a Syrian passport and lives in Syria we like to meet in Thailand for a week of vacation how we can obtain a Visa. US passport holders are eligible for entry into Thailand without a visa for a maximum of 30 days. For Syrian passport holders, they are required to apply for a visa before traveling to Thailand. Please get in touch with the Thai Embassy in Jordan for assistance with the visa application of your fiance. ​Address: ​No. 147 Zahran St.,​ ​Jabal Amman, P.O. Box 144329,​ ​Amman 11814 Jordan. Hi, there. I am a Chinese passport holder, but I have permanent resident visa of New Zealand. I just wonder what should I do for applying Thailand visitor visa. Thank You. Depending on the duration that you wish to stay in Thailand, you can either apply for a visa on arrival (15-day stay) or a tourist visa (60-day stay). Kindly get in touch with the Thai embassy or consulate near your location to inquire about the visa applicable to your travel. Hi there, I’m holding a Chinese passport which also have PR of New Zealand. How long it would take to apply for a visa on arrival (15-day stay)? What material/information I need to prove/bring? And how many month/s for me have to go Thailand once I got that visa? The time frame to apply for a visa on arrival will depend on the number of applicants at the time of your arrival at the airport. It may take a minimum of 1 hour. General requirements are your passport with at least 6 months validity, a 4x6cm passport photo taken within the last 6 months, proof of flight out of Thailand, proof of accommodation, proof of adequate finances at least 10,000THB per person.